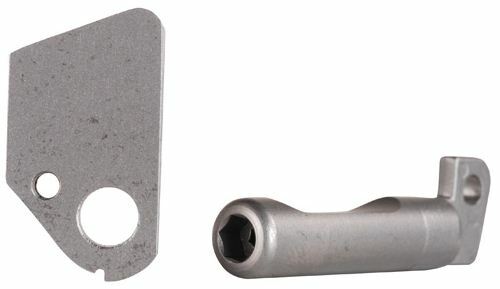 The Speed Strip Kit consists of a 2-piece bolt stop pin and precision machined hammer that will fit the Ruger Mark I or Mark II pistols. Once you have installed your Speed Strip Kit, all you need to do to disassemble the pistol for normal cleaning is to unscrew the new bolt stop pin with your Allen key (supplied) and remove it from the top of the pistol. Then you can slide the bolt out for cleaning. To reassemble, slide the bolt back in, screw the new bolt stop pin back into place and that�s it. It's that simple! When installed, the Speed Strip Kit also reduces your trigger pull to 3-� to 3-� lb. in a factory original Ruger .22 Auto Pistol. Each kit comes with 3 pages of easy to understand illustrated instructions.